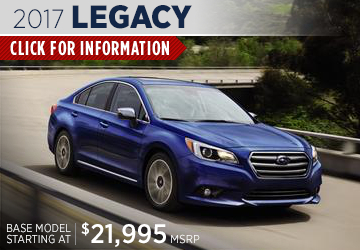 New 2017 Subaru models are arriving daily here at Carlsen Subaru, and we can't wait to show you everything each one has to offer. 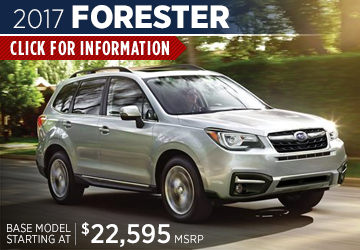 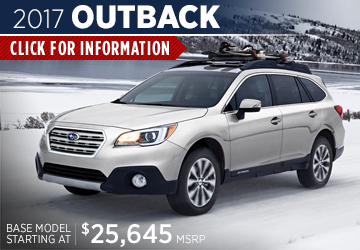 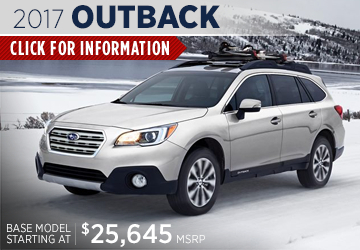 Whether you're looking for a capable new 2017 Outback, redesigned 2017 Forester, or a reliable sedan, you'll find exactly what you want at Carlsen Subaru. 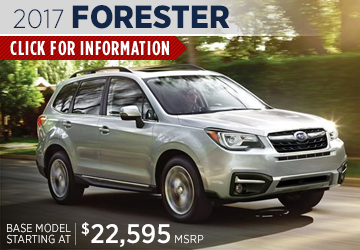 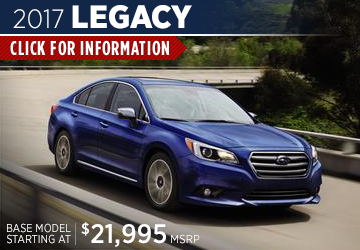 Great features are only enhanced by powerful capability and the backing of the Subaru brand with each new 2017 Subaru. 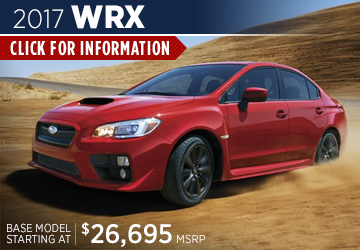 To learn more, look through some of our helpful model information pages. 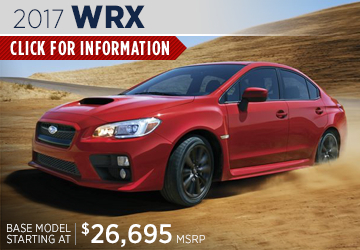 These pages give you all the information you want to know about each model, so read through each one that interests you, then be sure to come in to Carlsen Subaru to test drive your favorite new Subaru models. 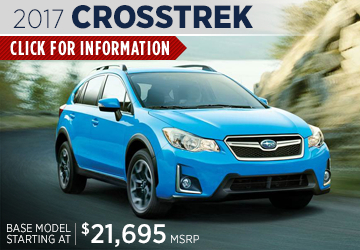 Carlsen Subaru is proud to stock many new 2017 Subaru models within our large inventory. 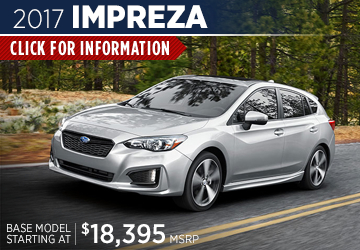 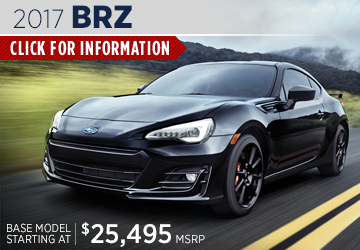 Browse our helpful research tools like model pages and comparisons before you come see us at 480 Veterans Blvd, Redwood City, CA 94063, and be sure to look through our many frequently updated new car specials as well. 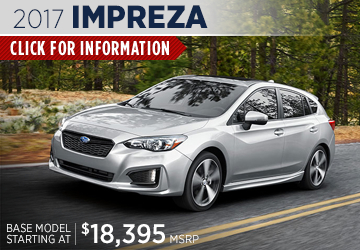 Our friendly sales associates will help you find the Subaru of your dreams, even if you choose one of our many certified pre-owned or used vehicles. 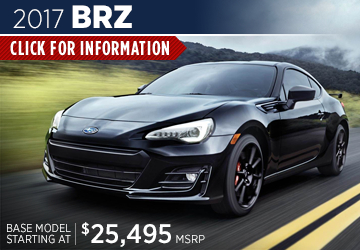 Give us a call at (888) 520-5916 with any questions or to set up a test drive. 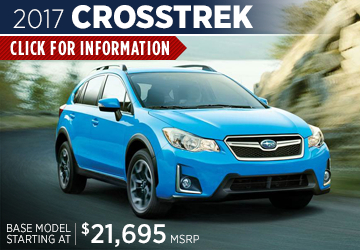 We look forward to seeing you at Carlsen Subaru, also serving Oakland, CA!